Like tripping on a runway, an Instagram faux pas is a very particular kind of public humiliation. This one seems like it should be a no-brainer, but unfortunately this practice shows no sign of slowing down. When you buy likes and followers, you’re only hurting yourself. 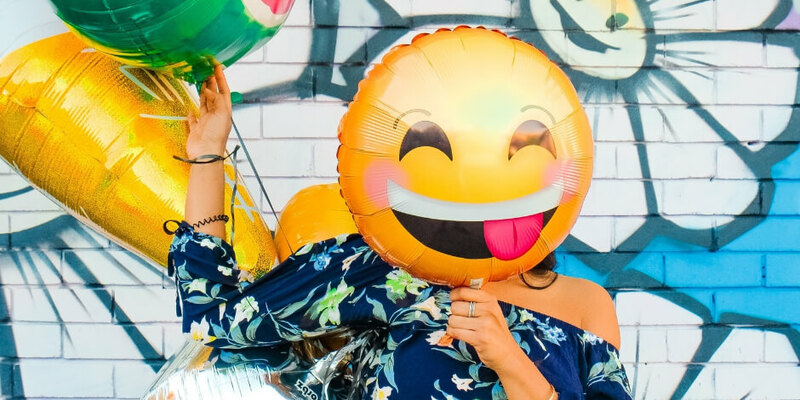 I spoke to Erin Sousa, Vancouver-based digital marketing expert and founder of Sparkle Media, about why exactly buying followers and likes is such a cardinal sin. “Buying Instagram followers and likes is really the equivalent of fraud, since many ‘influencers’ who do this are making money and receiving product based on their follower and engagement numbers. Anyone who’s done this runs the risk of not only discrediting their brand, but real legal ramifications—as some brands are adding clauses about fake followers to their contracts,” Erin explains. Not only that, but buying likes and followers is strongly connected to poor return on investment (ROI) on the client side of things. Also, buying likes and followers won’t give you the return you want when it comes to your own business results. If you’re looking to grow a following of real people and other brands interested in your products or services, bots and fake followers aren’t going to cut it. Building a dedicated following doesn’t happen overnight—and anyone who thinks so is in the wrong business. Engage with the right people. Take the time to build a real community through your brand. Instead of automating comments, leave genuine comments on other relevant brands’ posts and engage with the followers who respond to your content. Run a contest. I have discovered and followed so many interesting Instagram accounts thanks to contests. Run a campaign that asks users to follow your account and tag their friends in the comments. With a relatively small investment in the prize of your choice, you’ll see your follower count rise in no time. Learn how to run an effective campaign. Promote your account. Run paid advertisements to lookalike audiences (those who have similar interests to your current audience.) Or, link to your Instagram account on your other social channels and website. Whatever you do, don’t make your future customers work to find your account. Make sure you’re easily discoverable and have the same account name across channels. For more ideas on boosting engagement, check out our tips for getting more Instagram followers. When a potential customer first looks at your Instagram page, what kind of message are you sending? If the message is “blurry photos and videos that look like they’ve been shot on a potato,” you might want to reconsider your visual strategy. Using bad quality images immediately discredits your brand and gives off a less-than-professional vibe—especially on Instagram. When you have lackluster visuals cluttering up your Instagram page, it sends the message that you don’t take your business seriously. First impressions matter when it comes to your brand’s social media presence, so make sure you’re serving up the best looks possible. It doesn’t have to cost a lot of money—some simple tweaks can make a huge difference. Use the right tools. For example, I’ve found that lighting makes the biggest difference when it comes to my Instagram images. If I can’t get a photo in natural light (always the first choice) I won’t post anything without first adjusting the lighting in the Adobe Lightroom CC app. For more image-enhancing apps and tools, check out these 14 great resources to create beautiful images for social media. Mix up the perspective. Don’t rely on the straight-on shot or flat lay in all of your posts. It’s important to provide your audience with different views and angles to keep things interesting. Close-ups, super far away shots, and videos all provide variety that will not only engage your audience, but will simply look better on your Page. Carefully consider the background. I can’t tell you how many times I’ve seen a potentially beautiful shot ruined by what’s happening in the background. Whether it’s a piece of garbage or a cluttered table top, make sure you put as much thought into the background as the subject of your image. For example, single tiles in natural stone or pretty patterns (from any home improvement store) can provide aesthetically-pleasing backdrops for a number of shots. For an extra professional touch, you can also buy a lightbox online for under $50. We all follow a few of them—the Instagram accounts that post a nauseating amount to their Story. If you get anxiety the second you see all the tiny Story indicators at the top, you know what I’m talking about. While you might be inclined to watch a long Story from your very best friend or mom, there’s no chance you’re sitting through a brand’s 100-post-long Instagram Story. Don’t be that brand. Your target audience most likely doesn’t have the time to absorb all of that content, so you’re wasting time and resources ($) by creating it. Instead of posting every little thing to your Instagram Story, use it for business highlights and be a critical editor when it comes to content. At the other end of the spectrum are brands that post so infrequently you sometimes wonder if they’re still in business. Your heart has stopped no less than 3 times when you thought your favorite local donut shop was closed—but alas, they’ve just become lazy Instagrammers. I notice a drop in followers when I don’t post for a few days on my cat’s Instagram account, so can imagine the issue is much worse for a real brand (no offense, Gloria.) Ensure you post consistently to make sure your customers don’t forget about you. Pay attention to analytics. Conduct a simple experiment by posting every day for a week, then every other day the next week, twice a day the next week, and focus on your results to figure out how much content your audience wants. You can also post a poll to your Instagram Story where you straight-up ask your audience—something I’ve seen brands get great results from. Test different times. Your lack of engagement might not be due to the frequency of your posts, but because of timing. Follow our data on the best time to post on Instagram and then test a variety of times to get optimal results. Think quality over quantity. While the details of your business are undoubtedly interesting to you, your audience probably doesn’t need to see where you take the garbage out at the end of the day. Before you go wild with your posts, think about what your overall goals are, and whether this specific piece of content will help you reach them. Imagine if you took a test and never got your grades back—it might be a surprise when your final report card comes and you find out you flunked your class. The same kind of unfortunate surprise can happen when you don’t pay attention to your Instagram analytics. When you ignore your Instagram analytics, you miss out on important information that could help you plan future campaigns. Your analytics show you what content is getting results—and what content is wasting precious resources. Analytics also help you get to know your audience better. When you know your follower demographics, interests, and online purchasing behaviour, you’re able to create content that better engages your followers. Do your followers prefer video content or photo posts? How many of them are swiping up on your Instagram Story and visiting your website? This is all key data that will help shape your strategy. How can you give your Instagram analytics the attention they deserve? Use the right tools. Whether you want to measure your audience growth, directed web traffic, or the success of your Instagram ads, there’s an analytics tool for your business. Instagram’s free native tool, Insights, will provide data such as how many users visited your profile, the number of post-saves you get, and how many times people sent your Instagram Story. Hootsuite Analytics will give you even more insights into your data—providing charts and tables that allow you to easily identify trends and growth. For more information, check out our list of the best Instagram analytic tools. You might be guilty of some (or all) of the Instagram sins mentioned above, but it’s not too late to get back on track. Follow the expert tips shared above and never make the same Instagram mistake again.